Randee Fox, Nia Training Faculty and Black Belt Nia Instructor teaches Nia and offers The Nia White Belt Training and teaches Nia & Horses to those interested teaching Nia or deepening their Nia practice and, as well their relationship with their body and life. 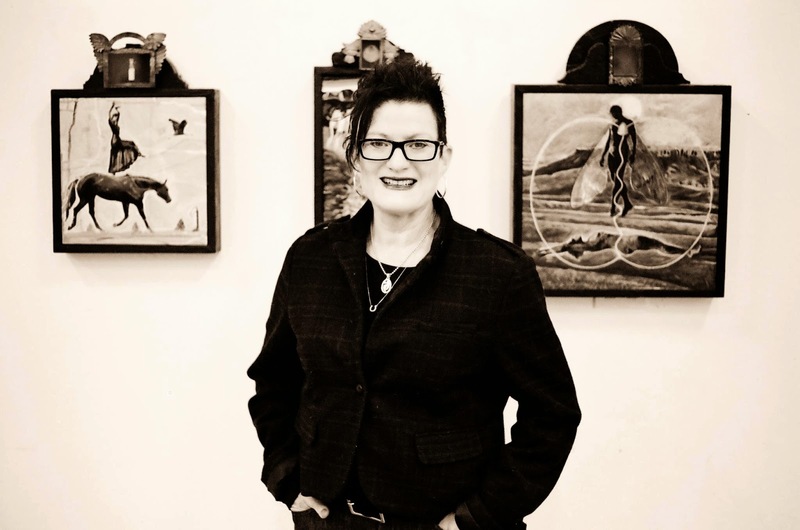 Randee is also an award-winning fine artist, arts educator, journalist and an equestrian educator and has owned and operated her own ‘horse-human-ship’ school since 1997. Randee has developed special application of Nia for people who love horses; Nia in the studio for equestrians; Nia on the ground with horses for those who wish to ‘dance’ with a horse, and Nia in the saddle for equestrians. Randee encourages many of the same Nia principles to her horses too, creating a fun, motivating atmosphere for learning. Background: After 22 years of studying a variety of dance forms - focusing mainly on African Dance, Randee took her first Nia class in 2000 then became a teacher in 2004. A natural educator with a passion for inspiring others, Randee excels in teaching Nia, art and equestrian activities. She has won national notoriety and teaching awards as adjunct professor at Austin Community College. Randee’s students have excelled as well! In the immediate aftermath of 9/11 Her art students’ counter terrorism posters traveled to Oslo, Norway for the 100th anniversary of The Nobel Peace Prize and were displayed in the United Nations building less than two months after the 9/11 attacks on our country. Many of her art students from have gone on to become professional designers, illustrators and fine artists. Her Nia students have gone on to become Nia teachers with successful practices. Her riding students have excelled to become excellent horse owners, trainers, handlers and riders. Randee’s professional background includes a long standing career (since 1977) as an illustrator and graphic journalist and fine artist. Her award-winning art, design, illustration, art direction, and journalism career has won her host of national design and writing awards. She was also team member of a Pulitzer Prize winning journalistic team at The Seattle Times as a News Artist. She also has a background in retail and managed her own Gap Store in Beverly Hills, California. Because of her store’s success she was awarded a position as Corporate Training Projects Coordinator for the Gap Stores internationally – a position she later left to become a full time artist. You can view her resume here. Randee teaches Nia, art and horse-related programs at Blue Heron Ranch equestrian center and Blue Heron Ranch Creative Arts Studio in Sammamish, WA (since 2005) and at Bellevue Family YMCA in Bellevue, WA (since 2007) and presents workshops and trainings worldwide. Her edgy, wild, fun, creative, and high energy classes encourage ‘community and unity’ and because of this intent, her Nia communities are aligned, warm and welcoming to all. Her Nia classes and playshops and Educating Humans for Horses programs are rich with artistry and inspiration and often taught at the beautiful Blue Heron Ranch Studio on her horse ranch.